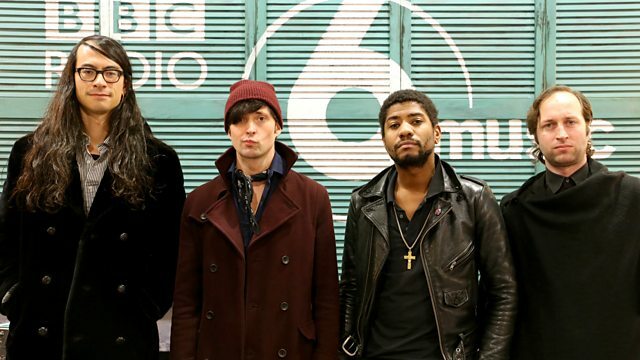 Mark and Stuart talk to experimental indie-soul band Algiers. Led by vocalist and lyricist Franklin James Fisher, the four-piece - which now includes Bloc Party founding member Matt Tong on drums - hail from Atlanta, London and New York. Their musical influences on their latest album 'The Underside Of Power' range from Southern rap to Northern Soul, gospel to grime. They supported Depeche Mode on tour in Europe earlier this year. Now, while they're in the UK headlining their own shows, they join Mark and Stuart for a chat. Also in the show today... the never-ending feature The Chain - which links together one record to another using YOUR suggestions - and Teatime Themetime, when you pit your musical wits to be first past that Chocolate Bourbon post and gain glory round the office biscuit barrel. AND if that weren't enough - we bring you the latest updates in the world of rock and pop in today's Music News. Motown - The Hits Collection Vol.2.